Joe said Habitat’s work aligns with All Heart NZ’s priorities and values and is a “perfect example” of a sustainability framework in action. Joe also says that measuring the impact of a full circle economy can be difficult. 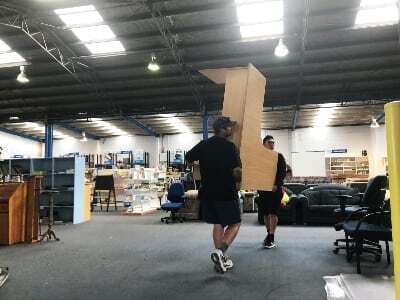 With freight company partnerships all around New Zealand, Joe said the All Heart NZ collection service costs a business no more than sending the items to landfill – they organise the logistics, inventory, reports back and find positive charitable and circular economy solutions for these redundant items. All Heart NZ has diverted 857,575kgs of redundant corporate equipment since it began in October 2016. The direct financial assistance provided by All Heart NZ to community groups through redirecting corporate furniture and IT is estimated at $2,459,774. Habitat responds to housing poverty across New Zealand with a range of programmes including assisted home ownership, rental properties and a home repair service. 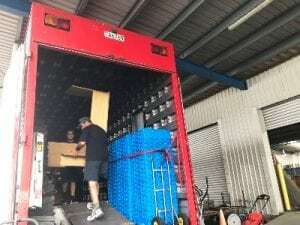 Internationally, Habitat New Zealand has a focus on the pacific and has projects underway in Samoa, Tonga and Fiji providing disaster resilience and rebuild to those effected by weather events. Habitat for Humanity Central North Island appreciates the support of organisations, such as All Heart NZ. If your organisation is interested in supporting Habitat for Humanity Central North Island through donations, or volunteering, contact us by phoning 07-849 7707, or emailinfo@habitatcni.org.nz.